The yellow hand ball is thoroughly marked with standard locations of facial features based on information I read in Drawing the Head & Hands. An additional piece of advice from Loomis was to slice open a hand ball to better understand the mouth and eyelids (I gave mine eyes!). 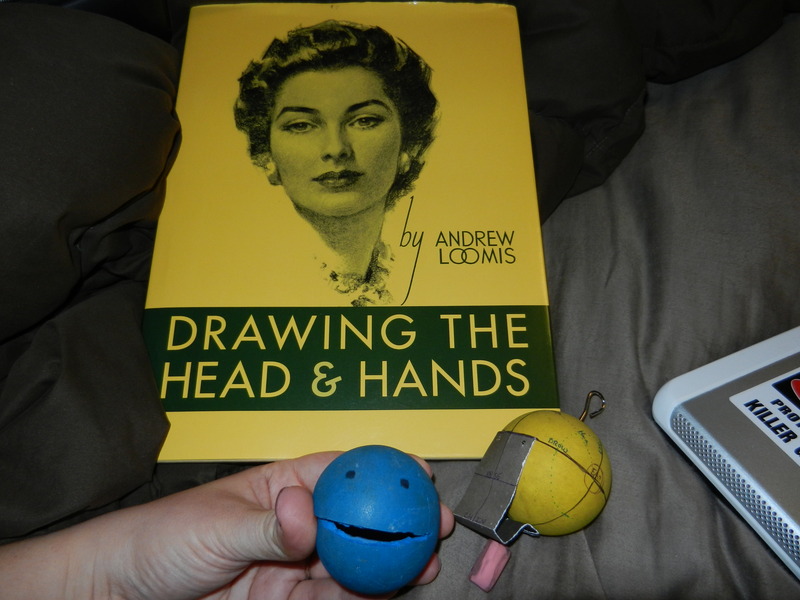 Posted on February 13, 2012, in Current Project, Drawings/Sketches, Research and tagged Andrew Loomis, drawing, handball head, pac-man. Bookmark the permalink. Leave a comment.